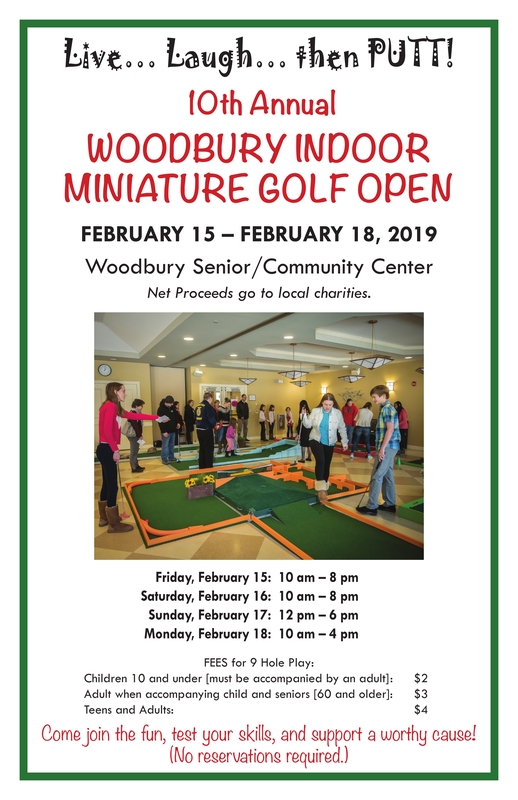 Welcome to the Woodbury Senior Community Center, a place to make the most of the age you are! Our goal is to support older adults by providing resources, classes, programs and services to help them stay strong, healthy and independent across the lifespan. When times are difficult, we provide resources, social services, information and referrals for older adults and their families. The Center is a vibrant, warm and friendly place -won’t you join us? Civic engagement opportunities like project volunteerism and intergenerational activities in the schools. Creative Exploration programs range from watercolor classes to felting projects, from art history music appreciation and Name that Tune. Evidence-based classes like Tai Chi and Matter of Balance which have been proven to help you improve health issues like balance. Exercise classes for all fitness levels : Pilates, Yoga, Strength and Weight Training, Balance Class, Tai Chi, Cardio Dance, Indoor Walking, and more! Explore your creativity with programs like ‘Writing from the Inside Out’ which encourages participants to explore life through the lens of a writer. Just for fun opportunities like “Early Bird Supper and Movie”, parties, and more. Lifelong learning classes on a wide variety of topics, ranging from cooking classes to reducing stress to American history and world religions. Member-driven programs like the Scrabble Club and Canasta groups. Cribbage, anyone? Social support groups like the Veteran’s Coffee Hour and the Coping with Aging groups. Technology classes like “Techie Tuesdays” where members can seek free assistance in understanding, using and troubleshooting their devices. Travel opportunities ranging from small Senior Bus trips to coach bus tours. The Medical Loan Closet can provide local residents with free loans of walkers, canes, bath transfer seats, wheelchairs and other durable medical equipment. Support Service offers assistance in these areas: Caregiver needs, Early dementia, Coping with aging support group, Woman to woman support group, Veteran's benefits and support services, Grief support, Housing and Information and referral services for topics related to aging. Our Congregate Meal Program provides a hot lunch and great company each Tuesday and Thursday in our innovative Chef on Site program. Senior Dine is a program that helps older adults enjoy a hot meal at participating local restaurants at a reduced price. Meals on Wheels are available to those who cannot easily leave their home, and who require some help in preparing meals. The Woodbury Food Bank provides food assistance to income-eligible residents. Municipal Agent/ Social Services include information and referral for a wide variety of programs, emergency assistance, and applications assistance for Medicaid, health insurance and more.